​Sporting CP goalkeeper Rui Patricio has reportedly agreed to join title-chasing Napoli this summer, after spending 16 years at his boyhood club. The Portuguese international has made 446 appearances to date for the national team, and was a key figure in the country's incredible European Championships win in 2016. His performance also earned him a place in the Team of the Tournament. ​According to Gazzetta dello Sport, ​Napoli president Aurelio De Laurentiis has spent this week in Portugal with super-agent Jorge Mendes and Rui Patricio in order to push the move forward. The Italian newspaper explains De Laurentiis sees the Sporting CP shot-stopper as 'the perfect heir' to Pepe Reina, who is expected to leave in the summer once his contract expires, with ​A.C Milan leading the way for his signature. 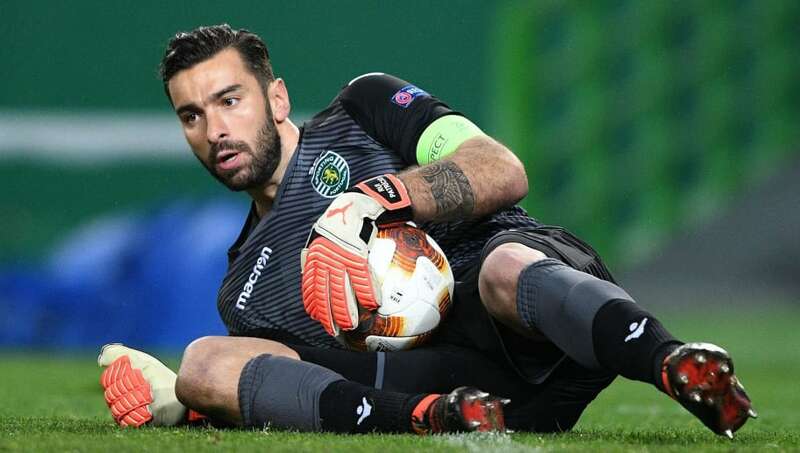 However, Napoli, who currently sit second in ​Serie A, would consider matching Sporting's £15m asking price for Rui Patricio, and hope that his desire to move will push the transfer towards its conclusion. The Sporting veteran has spent his entire career at the club, and joined the academy in 2000 when he was just 14. Napoli will hope to get the deal concluded before the the 2018 FIFA World Cup in Russia, where the 'keeper will be busy with European champions, Portugal.